CRAIG LEVEIN is adamant a willingness to learn from criticism is the only way officiating will improve in Scotland before launching a contemptuous attack on Steve Conroy, the former referee who stepped in to defend Bobby Madden. The Hearts manager was scathing of the match officials as the capital club slipped to a 2-1 defeat against Rangers on Sunday, claiming Alfredo Morelos should have been dismissed and lamenting linesman Anthony Cooper’s failure to disallow the Colombian’s offside winner. Levein pointedly said the Jambos were contending with ’13 men’ in Gorgie. That prompted a staunch defence from Conroy. He described Levein’s comments as ‘personal, derogatory and demeaning’ and, in doing so, succeeded in injudiciously poking a hornets’ nest. “I don’t know why people are getting involved – particularly if they’re talking a lot of rubbish,” said Levein. “I think somebody needs to go back to school and understand what a personal attack is. Personal attacks are having a go at somebody’s character. “I actually get angry at that, because that’s trying to make it appear something that it’s not. This is about Sunday’s performance, nothing else. “I detest people getting involved in something when they’re just trying to stir it. They should keep their noses out. Only I know what I think of Bobby Madden – and I’m telling you now: I think he’s a decent guy. This is far from the only disciplinary flashpoint this term, with Kilmarnock boss Steve Clarke and Rangers both cited following comments made regarding high-profile referee Willie Collum. 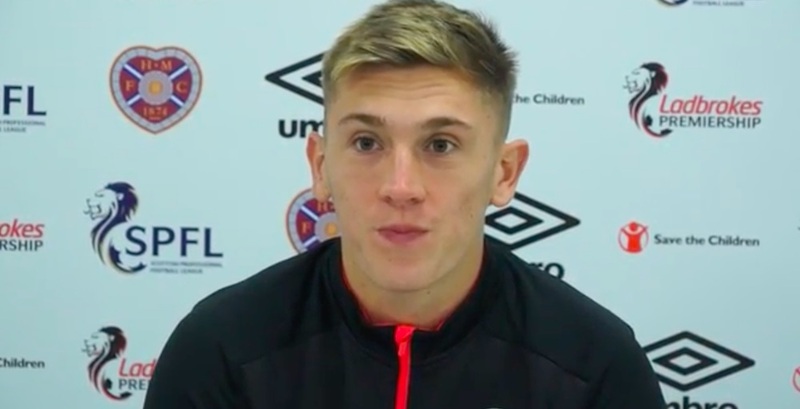 Hibs head coach Neil Lennon also stated that the performance of Don Robertson during Hibs’ 4-2 defeat against Celtic in October was akin to playing against 12 men, for which he avoided punishment – as Levein was swift to mention. Levein is exasperated by what he feels is a lack of accountability and communication, positing that the standard of refereeing in this country will remain in the doldrums unless officials start to welcome discussions. “If we want to foster better relationships between managers and referees, let’s be open and talk about it,” he continued. “Instead, everything is covered in this secrecy. What other business does this? It’s a joke. 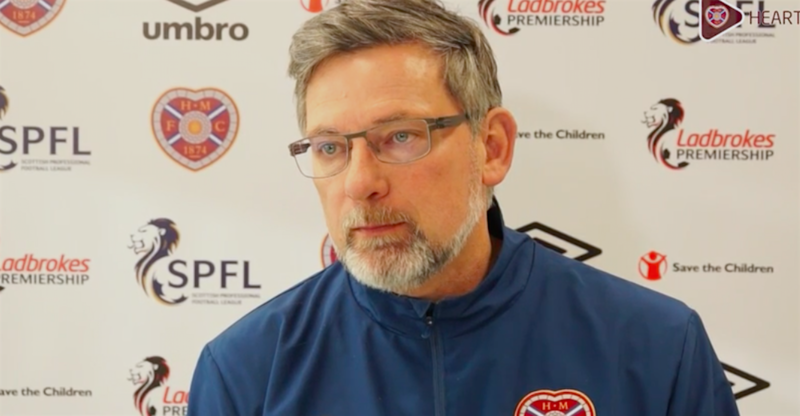 Levein was also mystified by Madden’s failure to punish firebrand Morelos and Connor Goldson for ‘inciting’ Hearts supporters after they pointedly celebrated in front the Gorgie Stand following their goals. He believed those actions were especially ill-advised, coming just a month after Lennon had been struck by a coin during shameful Edinburgh derby scenes. The rancour from Sunday’s defeat is destined to rumble on as part of the wider debate regarding the standard of Scottish officials and how they are treated and perceived. Nevertheless, Levein knows it is time for his charges to move on. An onerous test against St Johnstone awaits Hearts this evening as they seek to arrest a run of six games without a win. The Saints’ record over the same amount of fixtures is five victories and a draw, without conceding a single goal. Even more ominously for the capital club, the Jambos’ last league triumph at McDiarmid Park was in November 2010. Levein will, however, be without Jimmy Dunne – and the injured defender may have played his last his last game for Hearts. Ankle damage has ruled out the on-loan Burnley defender for six weeks, taking his absence beyond the January 7 expiry date of his deal at Tynecastle. And Levein fears his dazzling form north of the border, which even saw Dunne called up to the Republic of Ireland squad last month, could thwart his plans to extend the youngster’s stay until the end of the season. Levein explained: “Jimmy’s been amazing. I really want to keep him if I can – but he’s done that well that I wouldn’t be surprised if Burnley kept him or tried to put him to the English Championship.